Your life was a noisy aberration. a genius stifled by demons. 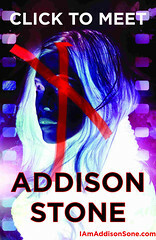 The Unfinished Life of Addison Stone by Adele Griffin is a book I will be thinking about for a long time. I was lucky enough to get the chance to read an e-galley prior to its publication date, but this really is a book you will want to own a physical copy of. The documentary-style of the narrative, along with the photographs and artwork make Addison Stone a book you will want to pick up, hold, and thumb through. What is so memorable about Adele Griffin's newest book is how, despite the fact that Addison Stone is dead by the time the reader gets to know her, we are able to really feel her presence in the story, via the accounts of the people who knew her. This novel is an attempt to make sense of Addison's untimely demise by interviewing all the people close to her. While the book is somewhat of a mystery, it feels more like a recounting of her life rather than an attempt to solve whether her death involved foul play. I have been in somewhat of a reading funk for a while, but Griffin's fresh, innovative approach to a young adult novel woke me right up out of that funk. 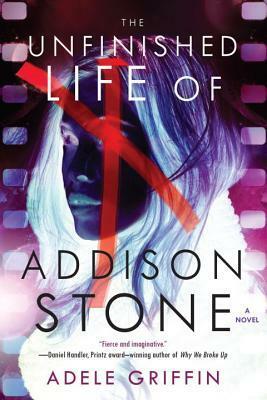 The Unfinished Life of Addison Stone will undoubtedly be going on my list of favorite books of 2014.